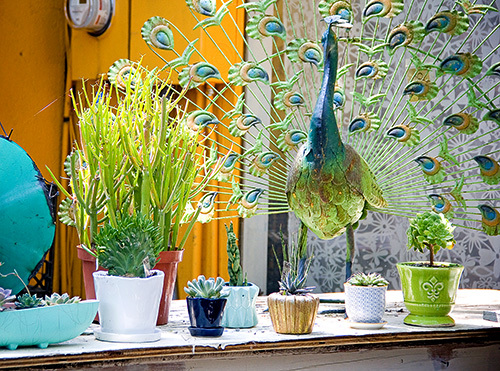 If you take a stroll down South Pearl Street and peek into the restaurants and shops, you’ll come across one of the street’s quirkiest shops. 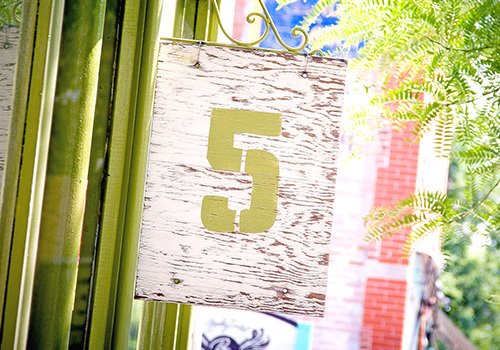 From the moment you step into 5 green boxes, its eclectic charm draws you into its rooms, nooks and crannies. 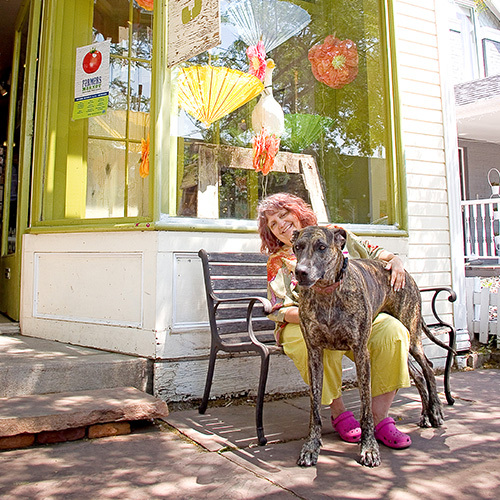 The store is a reflection of the creativity of its owner, Charlotte Elich, a Pearl Street champion and innovator. In May of 1977 twenty-three-year-old Elich drove along South Pearl Street, searching for the perfect location for a yarn and weaving store she dreamed of opening. She quickly knew that South Pearl, which looked quite different in those days, was the place for her. She recalls seeing a “For Sale” sign on the building at 1905 S. Pearl St. She talked to her then-boss who purchased the building for her, helping launch her entrepreneurial retail career with the opening of Skyloom Fibres on October 22, 1977. At Skyloom Fibres, Elich sold fiber art supplies, and offered classes and workshops. After twenty-three years of running Skyloom Fibres, Elich felt the need for a new direction. She sold off everything and created 5 green boxes, which, to this day, follows the original concept she developed in 1999. What does 5 Green Boxes offer? It’s hard to categorize what 5 green boxes offers, but descriptions run the gamut of zany superlatives: Fun, frippery, finery and finds… the unusual, the stylish, finely designed, chock-a-block, humorous and often unique. 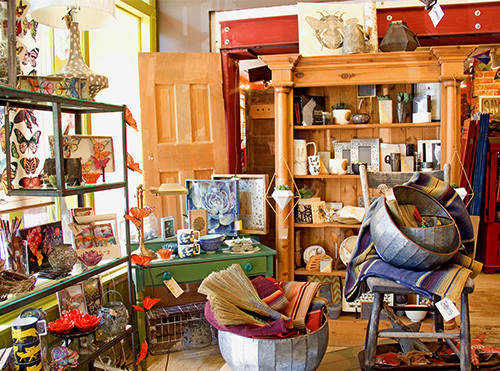 5 green boxes curates items that range from beautiful local artisan goods to those from around the world. The Little Store, on the corner of Iowa and South Pearl, sells women’s apparel, jewelry and accessories. 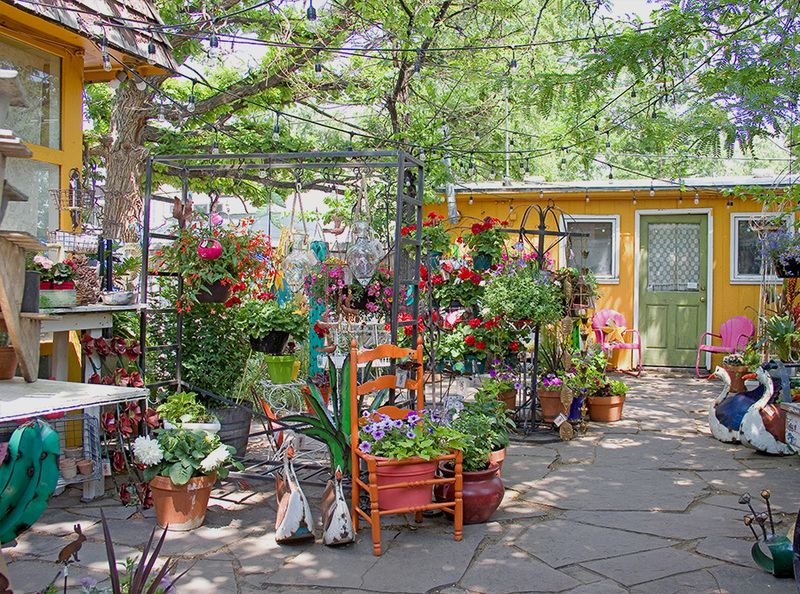 The Big Store, four doors to the north at 1570 S. Pearl St., specializes in home and garden wares, greeting cards, gifts and seasonal items. The 5 green boxes studio, located at 1705 S. Pearl, is the workshop where craftspeople rescue, reimagine, repaint and reupholster furniture. Other 5 green boxes creations from the studio include home accessories, jewelry and clothing accessories. They also design and create custom orders. 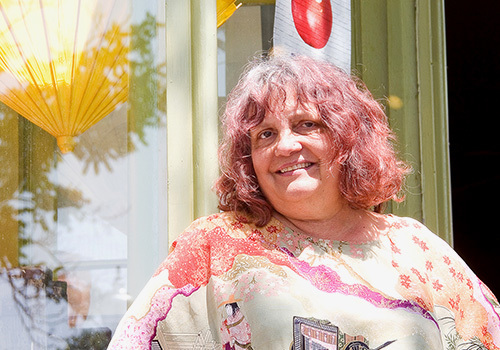 After 41 successful years on South Pearl Street, Elich says, “Retail is in my blood now.” She seeks out local artists and vendors, as well as Fair Trade suppliers. 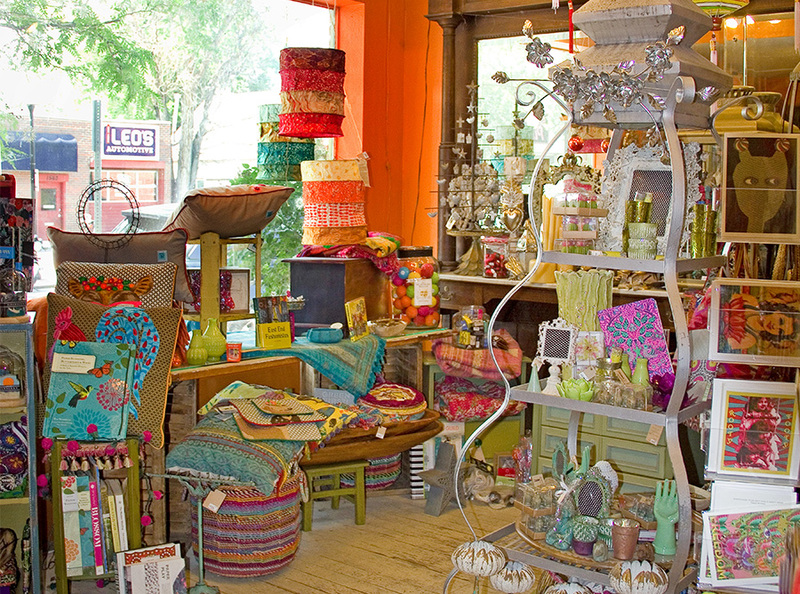 Hunting for unique and different items to sell in her stores inspires her and keeps the creative ideas flowing. In turn, Elich hopes her stores inspire and put a smile on every customer’s face. 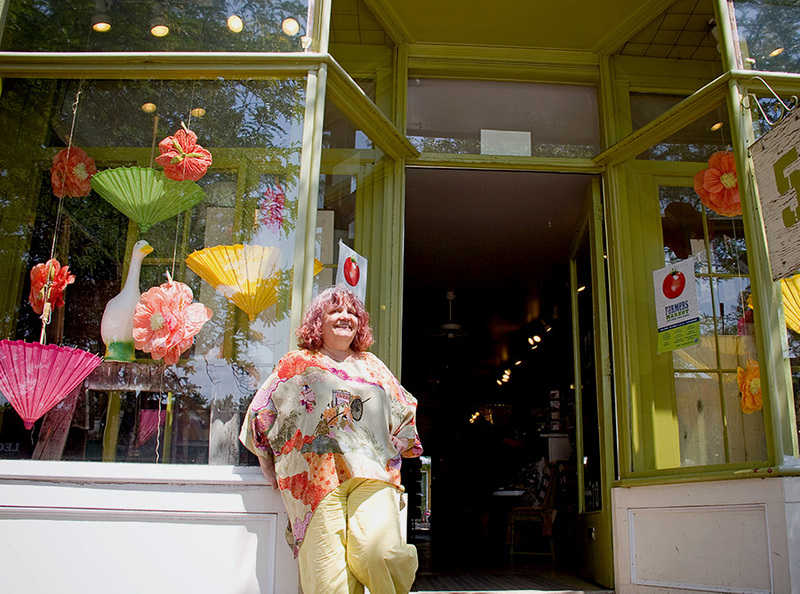 Beyond the store, she is dedicated to the broader South Pearl community. 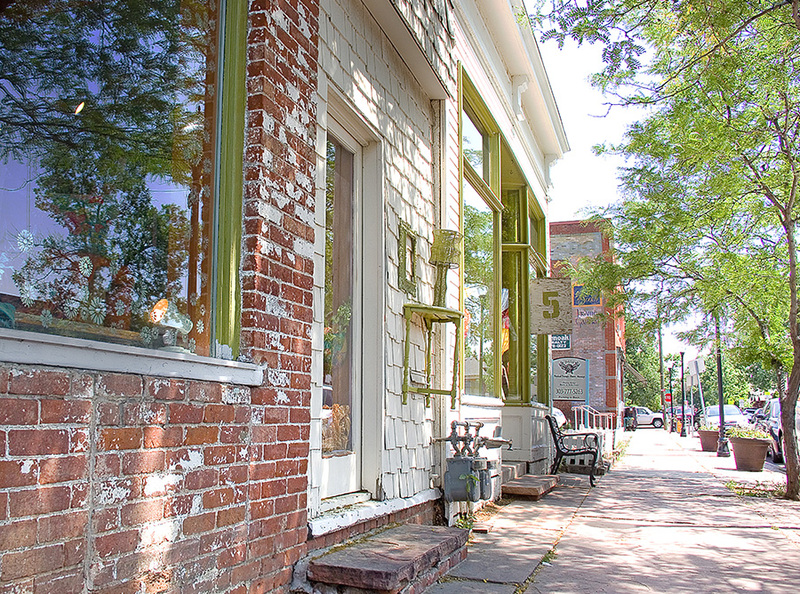 Elich fell in love with the area when she first saw South Pearl Street, and ever since has advocated for adding to its charm. One of the founding members of the Merchants’ Association in 1978, Elich was the visionary behind the Farmers Market in 2001. She continues to serve on the Farmer’s Market committee and originated the idea of adding a Flea Market, which has been held on the last Sunday of the month for the past six years, as part of the Farmer’s Market. As if all that weren’t enough, Elich created the annual WinterFest event. 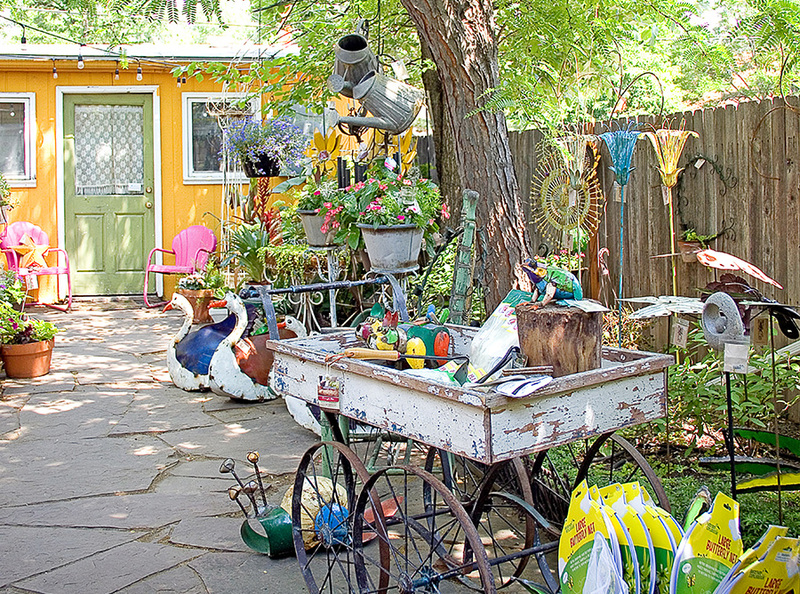 Whether creating events, initiating the addition of flower pots on the street, or supporting the fairy door project, lights in the trees and First Friday Art Walks, she encourages all merchants to participate. 5 green boxes was one of three retailers hand-selected to open a store in the historic Union Station in Downtown Denver. 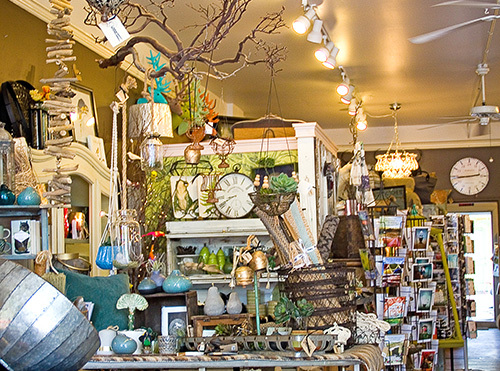 At the busy location, tourists and locals alike find a selection of the best of both South Pearl Street stores. Summer of 2018 marks the 4-year-anniversary at Union Station. 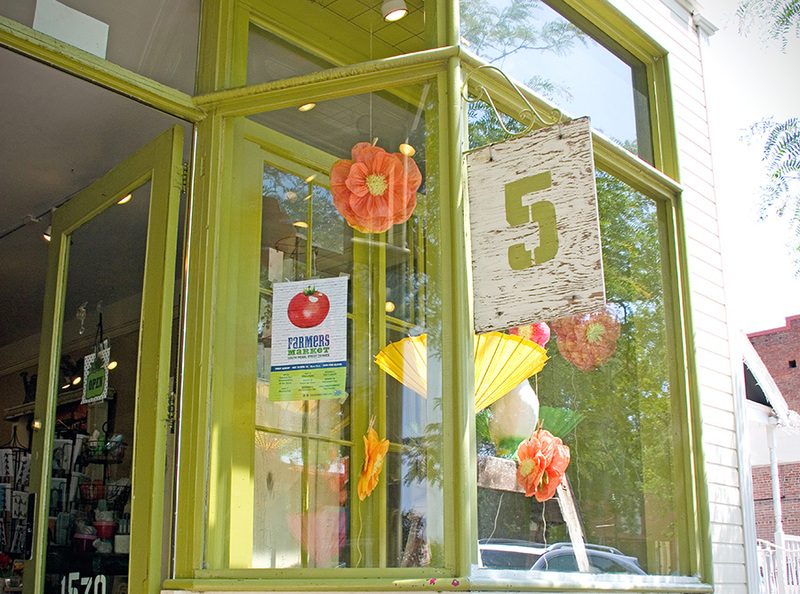 Not one to rest on her achievements, Elich is preparing to open her fourth space in the Lincoln Park neighborhood. She talks excitedly about the joint venture with her sister and brother in-law, a recently purchased industrial building where they will move the Pearl Street studio. It also will be home to events such as pop-up sales, trunk shows, rotating showroom space, galleries, workshops and much more. She also plans to rent the space for events, meetings and workshops. With Elich, who knows what serendipity will inspire the future of the new space?